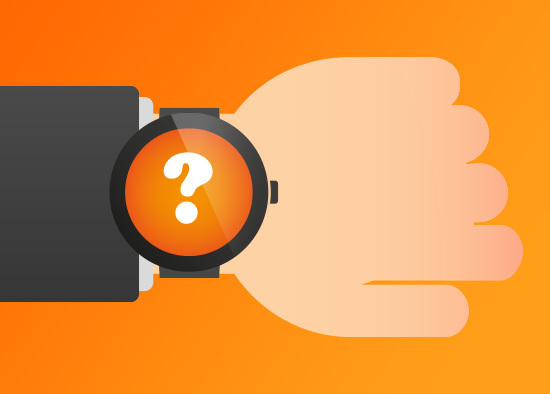 Everyone’s talking about wearable technology, but what do Marketers need to know? Wearable technology is increasing fast. With more than 485m devices expected to sell every year and a market worth $8.36bn by 2018 it’s an opportunity that Marketers can’t avoid. Wearables are widely predicted to be the most significant technology development since the smartphone, and their impact will be big. Here’s an overview of what wearable technology is and the opportunities that will present themselves to marketing teams in the next few years. Wearable technology refers to items or gadgets that a user can wear without having to use their hands to operate them. We most commonly think of watches and glasses, jewellery and headsets – devices that monitor location, activity or behaviour, or that deliver information and content from a smartphone or tablet without having to take them out of your pocket or bag. One of the key markets for wearables at the moment is in fitness and health – but other areas are catching up quickly including medical, business and industry, retail, pets and childcare. What are the opportunities for Marketers? Successful brands concentrate on delivering good customer experience and wearable tech can help deliver this by delivering information and updates to the wearer. Nike was one of the first brands to do this with their Nike+ running bands, which displayed and recorded simple information such as speed, distance, time and calories used while the user was literally ‘on the run’. Today’s technology is so much smarter and can deliver location-based content from shops, businesses and places. Imagine if Starbucks sent a promotional message to your watch when you were near one of their stores, and that you could even pay for your coffee using points loaded onto your wrist? Well you don’t need to imagine it because it’s already happening. The opportunities are endless. Wearable technology is very engaging. People enjoy using wearables so there’s a huge opportunity for increasing brand engagement and loyalty through them. Creating relevant, engaging content and providing users with the ability to socially share their experiences through their wearable tech will increase brand loyalty and advocacy. For example, the running and cycling tracking app Strava has created a very active community where users join challenges, share photos and follow friends. As a result, Strava has become a stand-out brand in a highly competitive space. Wearable technology isn’t just about delivering content to the user. It’s a two-way street, where brands collect data from their customers o improve their products and services. We’ll soon see the end of focus groups and surveys, as wearables report back to brands in real time about how customers have engaged with them. For example, insurance companies are set to use wearable technology to monitor activity and lifestyle to improve life policies and provide appropriate premiums based on an individual’s risk rather than a premium defined by age, gender and postcode. As wearable technology increases, data will improve and brands will deliver a better, more personal experience. Great news for the Marketer who will have the tools to create more targeted and effective content marketing programmes that will deliver outstanding results. Talk to Wisetiger is you’d like to know more about wearable technology and how it can be used to improve your digital marketing.